Yes, you take your medications to feel better! 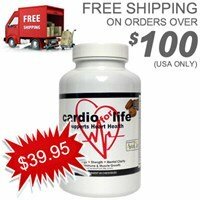 Less pain, less reflux, blood clot danger is less, lower cholesterol. This is good...short term. Problem is that these meds BLOCK, or SUPPRESS and INHIBIT. This, say scientists, leads to BIG problems long term! UNWANTED EFFECT # 2: In 2005, the FDA warned that all NSAIDs carry heart risks. In particular, ibuprofen (Advil, Motrin) and diclofenac (Cataflam, Voltaren) cause increased risks for heart attack and stroke. Which is Better, Meds or Supplements for Joint Pain? These BLOCK and INHIBIT the production of stomach acid. You have less stomach acid "backing up” into the esophagus, causing pain. This is good, because stomach acid damages the lining of the esophagus, leading eventually to cancer. UNWANTED EFFECTS # 1: Trouble is that you need stomach acid as a first line of defense against infections – it kills "bugs". Reflux meds also alter the gut bacteria balance (dysbiosis) , so that it is easier to get food poisoning (salmonella, E. coli, C Difficile, etc) and pneumonia. UNWANTED EFFECTS # 2: By reducing stomach acid, Nexium dexilant side effects result in nutritionsl deficiencies. You need stomach acid to digest your food, so that nutrients can be well absorbed. With less acid, minerals such as calcium, magnesium and vitamins are not effectively absorbed. Lack of calcium absorption leads to osteoporosis, bone fractures, (hip, wrist, or spine fractures) and calcification of the arteries. Magnesium deficiency causes seizures, dizziness, heart irregularities, jitteriness, jerking movements or shaking (tremors), muscle weakness, spasms of the hands and feet, cramps or muscle aches. Vitamin deficiencies, such as the lack of vitamin B 12 which leads to anemia, are also common. So, before your doctor prescribes you MORE medications for these symptoms, such as AFIB and heart irregularities, take NATURAL supplements against these deficiencies!!! UNWANTED EFFECT # 1: These also BLOCK the healing of injuries, bruises and wounds, both external and internal. Side effects of blood thinners include unwanted bleeding and bleeding strokes. 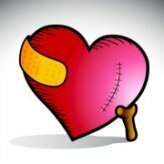 When this happens there is no antidote to stop such bleeding. For this reason these are rated among the most dangerous drugs on the market! UNWANTED EFFECT # 2: Trouble is that the side effects of these blood thinners cause a vitamin k deficiency. This increases your chances for arterial calcification, osteoporosis bone fracture, and cancer. UNWANTED EFFECT #3: Blood clot meds are being linked to Alzheimers and diabetes. MAIN EFFECT: Statins lower cholesterol levels, and reduce risk for a heart attack, but not the risk of a stroke. UNWANTED EFFECTS: Simvastatin muscle pain and memory problems are recognized. But did you know it also increases risk for Cancer in the elderly? A large study showed that cancer rates were 25 per cent higher in the group taking pravastatin. Risk reduction of non-fatal and fatal heart attacks (added together) was 19 per cent in the group taking the statin. Stroke incidence was not affected. UNWANTED EFFECT: Statin drugs SUPPRESS your body’s own “stem cell” production. These are the cells in you need to regenerate and renew the tissues or your organs. That does not bode well for statins and the aging brain! Not only is cholesterol needed by the brain for thinking and cognition, but also is used to make essential hormones. Your doctor may not take your complaints seriously and just see you as being old. Typically they do NOT recognize your symptoms as statin or simvastatin side effects muscle pain and memory loss. Rather than BLOCKING, INHIBITINS or SUPPRESSING with prescription meds, why not HEAL with nutrition and supplements? 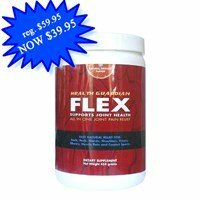 This arthritis joint pain relief supplement can work as well as pain relief meds called NSAIDs. And these can help REGENERATE the joint, for long term healing. NATURE works to ENABLE, ENHANCE and STIMULATE the body’s own healing and renewal processes. Nutrition and supplements can work well as natural blood thinners to prevent blood clots, a heart attack and stroke. 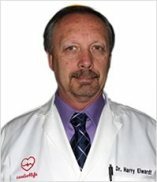 Meet Dr. Harry, and his campaign to end pain and heart disease naturally. Prescription Drugs their Side Effects No MORE! Medications may be needed short term, and indeed save your life! They can get you though a health crisis. But, heartburn and reflux need to be SOLVED rather than medicated for life. It is a digestive problem and there are natural solutions! Avoid dexilant side effects with alternative healing self help or a natural practitioner who is an expert in digestive health. 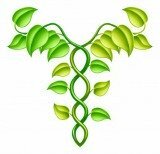 For the longer term you will be happy that you chose HEALING and REGENERATING over BLOCKING, SUPPRESSING and INHIBITING. Please browse our site for the science to help you stay drug-free for life. You will regain your vitality and minimize prescription drugs their side effects. In this study, Sarah F. Marshall and colleagues of the University of Southern California in Los Angeles, analysed 114,460 women aged 22 to 85 who participated in the California Teachers Study cohort. These women were breast cancer-free when the study started in 1995 and 1996. Then, after a 6-year follow-up, 2,391 women were diagnosed with breast cancer, with known receptor status. This study found that regular use of NSAIDs (defined as more than once a week) was not linked with an increased breast cancer risk. However, long term daily use of aspirin was associated with an increased risk of estrogen receptor/progesterone receptor (ER/PR)-negative breast cancer. And long term daily use of ibuprofen was associated with breast cancer, particularly nonlocalized cancer respectively. 2. Safety Considerations in Prescription of NSAIDs for Musculoskeletal Pain: A Narrative Review. PM R. 2018 Jun 30. pii: S1934-1482(18)30361-7. Are NSAIDs Double Trouble? J Am Coll Cardiol. 2018 Jul 17;72(3):268-270. doi: 10.1016/j.jacc.2018.04.062. Epub 2018 Jul 9. 3. Recent studies explain PPI’s such as Dexilant side effects and why the number of cases of kidney disease has risen. The relationship between proton pump inhibitors and renal disease. J Bras Nefrol. 2018 Jul 10. pii: S0101-28002018005020101. The Association Between Proton Pump Inhibitor Use With Acute Kidney Injury and Chronic Kidney Disease. J Clin Gastroenterol. 2018 Jul;52(6):468-476. Proton Pump Inhibitors and Dementia: Physiopathological Mechanisms and Clinical Consequences. Neural Plast. 2018 Mar 21;2018:5257285. 4. Benefits of Statins? In this large study, risk reduction of non-fatal and fatal heart attacks (added together) was 19 per cent in the group taking the statin. Stroke incidence was not affected. Cancer rates were 25 per cent higher in the group taking pravastatin. Overall, risk of death was the same between the groups. Am J Physiol Cell Physiol. 2015 Oct 15;309(8):C522-31.